With lots of family things going on here, I decided to do a simple and quick card...one that could work for any occasion. I used the new Simply Scrappin' Kit "Pinwheels on Parade" # 126929. 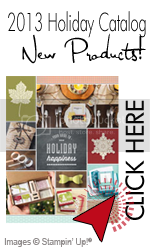 All the papers and self- adhesive embellishments are included in the kit and can be purchased from my Stampin' Up! Website. I am known for my card classes using these kits and this will be one of the first kits to show off. The only thing I forgot was a sentiment so I will let you dream about what should go where ;) After all, you are ALL artists with great ideas to share which brings me to the next part of this challenge. Please follow along and post your interpretation of the sketch over at Stampin' Queens Sketch Challenge Blog. Tags: in-colors, pinwheels on parade, simply scrappin' kit, sqsc 50, Stampin' Queens Sketch Challenge, Stampin' Up!